Automatic controlled fabric alignment device in connection with photoelectronic fabric guide. Number of cutting devices depend on numbers of textile width to be cut. All cutters steer themselves autonomously and independently from each other. Photoelectronically controlled central cutters motion. Marking line tolerances caused by finishing or printing are manually be regulated all during being in process. Variable electroic speed gearing be regulated from 5m/min up to about 50m/min, depending of fabric quality and numbers of fabric widths. 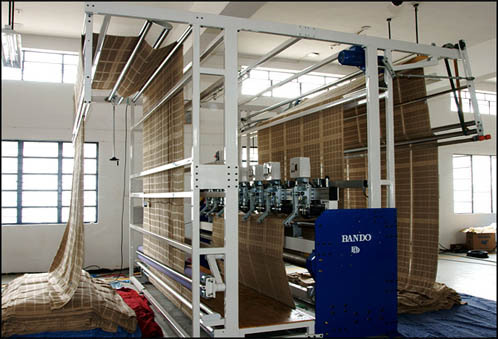 Our Automatic Longitudinal Hemming Machine has equipped with two sewing machines. one on the right side and another one on the left side, for the longitudinal hemming of towels,scarf, sheets, table linen, blanket, and more similar products. 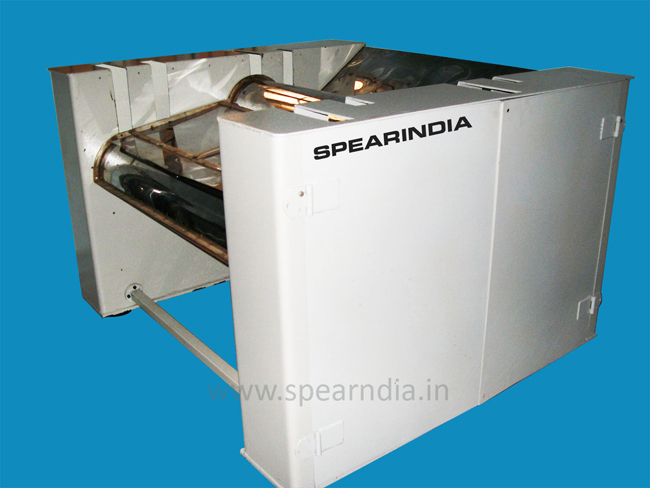 Polyester (Polyfill) fibre opening machine with double beater which helps you to open fibre without fibre damage. Polyester (Polyfill) open fibre is used as filling for pillows, decorative pillows, cushions, bolsters, quilts & comforters, mattresses, mattress toppers, mattress pads, furniture cushions, furniture backs, insulated garments and soft toys, Garment and sleeping bag insulations.